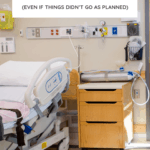 Should I Share My Birth Story (Even If Things Didn't Go As Planned)? If you’re wondering, ‘Should I share my birth story?’ The answer is yes! You don’t get an award for having an unmedicated birth or fail at motherhood if you had an emergency cesarean. Some childbirths are blissful while others are traumatic. All birth stories matter! Here you’ll learn about why you should share your birth story and how to write your birth story. Should I Share My Birth Story? Birth stories range from people having the birth they desired to made for TV dramas. 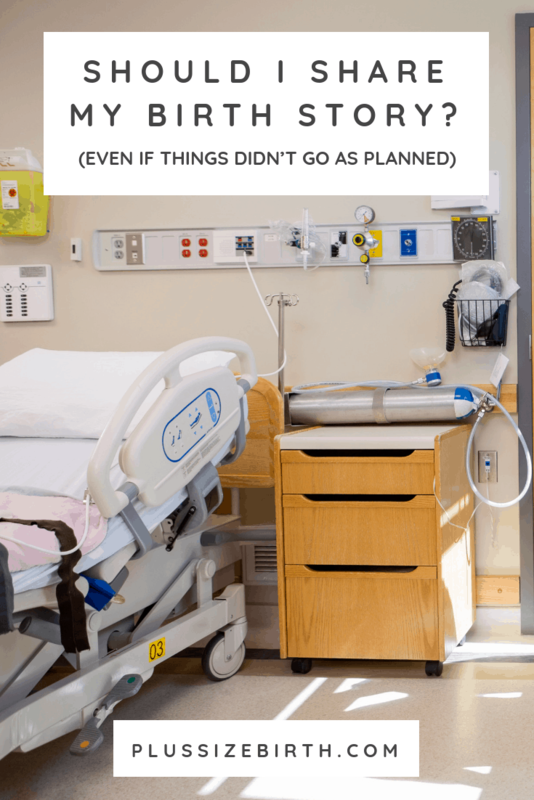 We’ve shared stories like giving birth with the flu and women not even knowing they are pregnant until going into labor on the Plus Size Birth blog. Once again, all birth stories matter! I encourage you to share your birth story be it in private with a loved one, or written up to share publically. At the very least, write your birth story down. You’ll be amazed all you’ll remember even if it happened more than 30 years ago. There have been accounts of women with Alzheimer’s not remembering their children’s names but being able to recall their births in incredible detail. How amazing is that? 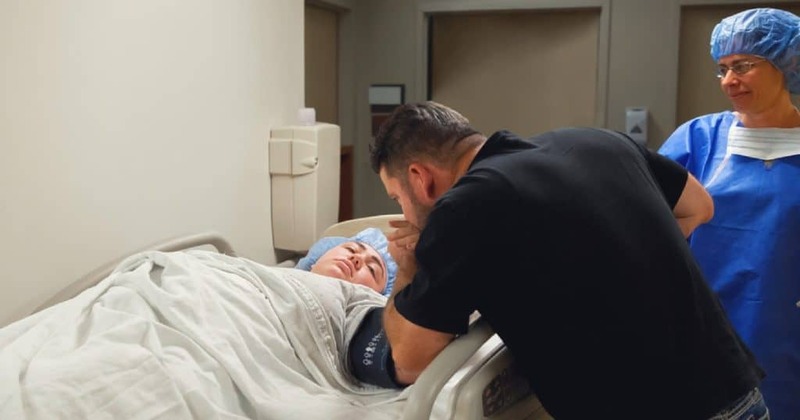 Birth stories are powerful! 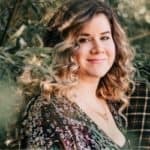 Bryn Huntpalmer of The Birth Hour Podcast joins us to share her expertise and answer some questions. She has collected over 200 birth stories. I was honored to be on her show and share my own (natural childbirth in a hospital under the care of a midwife) that you can listen to here. Why do you feel it’s important that people share their birth story? Birth is so unpredictable and as we learn from hearing such a variety of birth stories on the podcast—every birth is different. It’s helpful to women to hear all of the ways that birth can unfold. Hearing it directly from the moms that experienced those births allows us to discuss their whole journey. From that first moment, they found out they were pregnant to hearing that first cry to their struggles and triumphs with things like breastfeeding and sleepless nights. What about the stories that aren’t all full of oxytocin and blissful outcomes, why should those stories also be shared? I’ve heard from so many of my listeners that when their birth took an unexpected turn, they drew strength from the stories they heard on the birth hour. 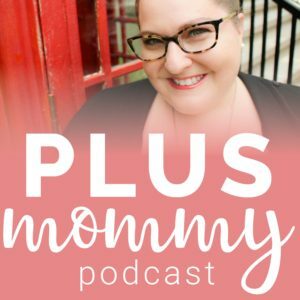 One of my podcast guests listened to The Birth Hour throughout her pregnancy and was planning a birth center birth. She ended up having a super fast labor and delivering her daughter in the backseat of her SUV. This happened while her husband was driving down the interstate in the middle of the night. When she wrote me to tell me that she credits her calm composure in the handling of that situation to listening to the podcast. My eyes were opened to the benefit of hearing all types of birth stories during pregnancy no matter what type of birth you are planning. I still always tell moms that if they feel like they aren’t in a good state of mind to listen to certain types of birth stories to follow their gut and just skip over those episodes. Plus, I always give the stories descriptive titles so there are no surprises. What are the first steps a mom should take when writing out her birth story? I recommend writing your birth story as soon as you can after the birth. It’s amazing how quickly you forget little details. Take a couple hours on the couch with your laptop one afternoon while the baby is napping within that first week postpartum and just let the words flow. It’s also helpful to ask your partner about their experience. Yet, I recommend writing it out on your own before you do that. Often those around us have different views of how the birth unfolded than we do. You can also ask your doctor or midwife for copies of your records if you want to add in little details later like what time you were dilated to 10cm etc. Bryn Huntpalmer is an Austin-based podcaster and writer. She’s the founder of The Birth Hour podcast which has been featured as ‘New & Noteworthy’ on the front page of iTunes and has over one million downloads. She is the mother of two young kids and is passionate about helping other moms navigate pregnancy, birth and postpartum. Connect with her on Instagram @thebirthhour twitter @brynhuntpalmer, or Facebook. You can submit your birth story through her website. 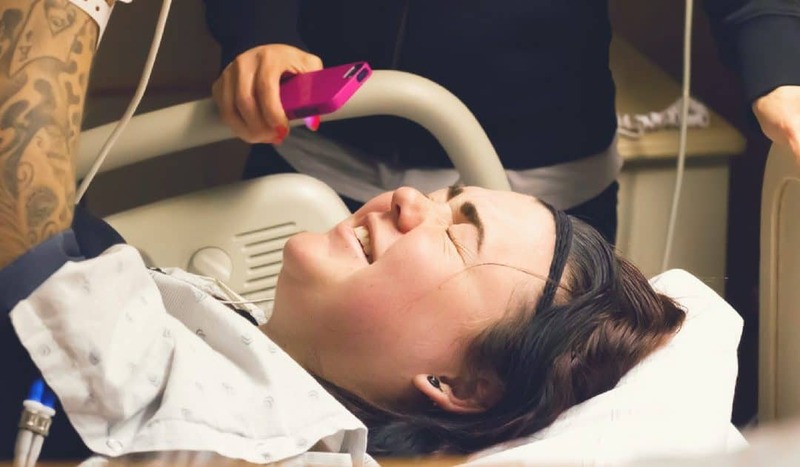 Do you want to share your birth story with the Plus Size Birth Blog? Send us your story and be sure to include photos – info@plussizebirth.com. We share a lot of stories via our Instagram feed.